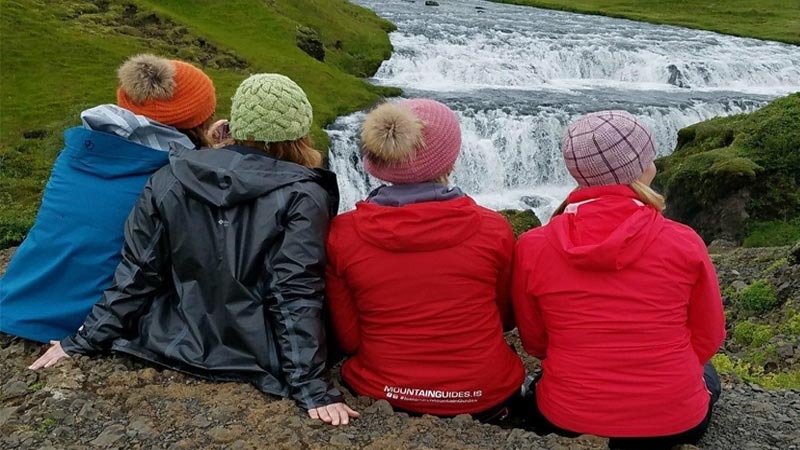 Travel Adventures for Women: Because traveling with friends is more fun! Nature-based, fun, and inspiring adventure trips for women. Hand-crafted, active women’s adventure trips that wow you, inspire you, challenge you, and replenish your spirit. Explore with us in off-the-beaten path places in Alaska, Baja Mexico (Sea of Cortez), Costa Rica, Florida, Iceland, and Trinidad & Tobago. Imagine how good you will feel after spending a week out in nature playing. 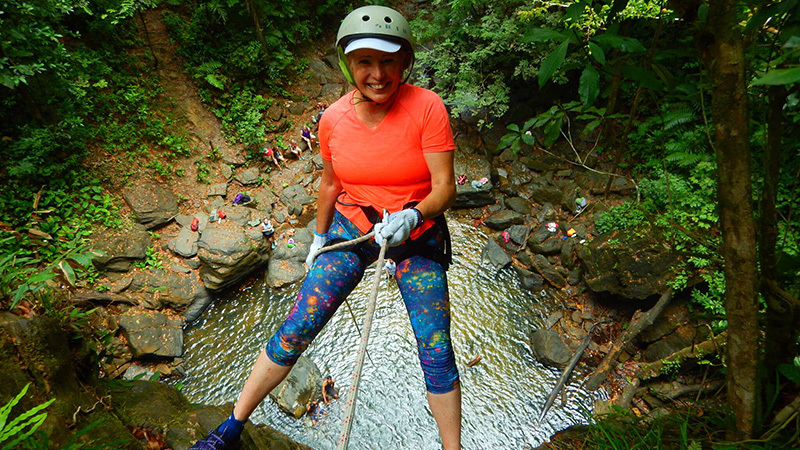 Our adventure trips for women get you outside and active with experiences like sea kayaking, back country hiking, snorkeling, free-diving, SCUBA diving, glacier trekking, rappelling, birding, camping, whitewater rafting and many other exciting activities. We love wildlife and we know you do too! Let us help you have access to amazing animals like snorkeling in a colony of 400 wild and friendly sea lions in Baja. 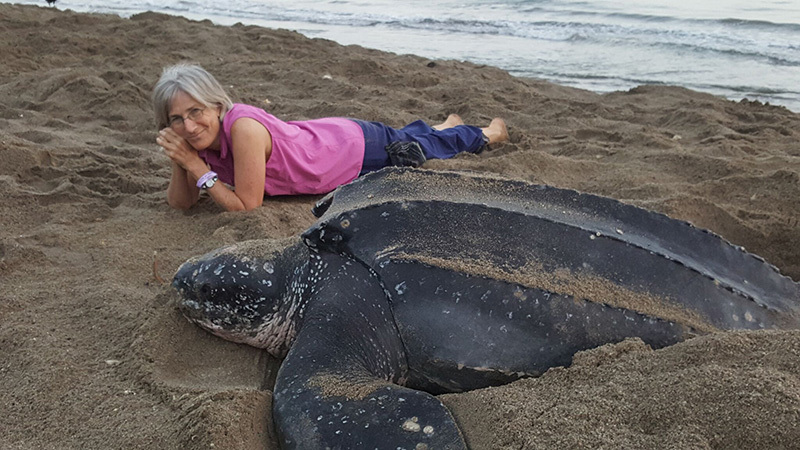 Take a walk back in time as you watch 700-pound Leatherback Sea turtles follow their primordial instincts of coming to show to lay their eggs on a beach in Trinidad. Wake to the sound of howler monkeys in the jungle in Costa Rica. See Humpback Whales breaching off the coast of Alaska. Ride like a Viking on an Icelandic Horse across ancient lava fields. You will notice that quite a few of our trips are in partnership with the International Becoming an Outdoors Woman Program (BOW). BOW is a non-profit, educational program offering hands-on workshops to adult women. 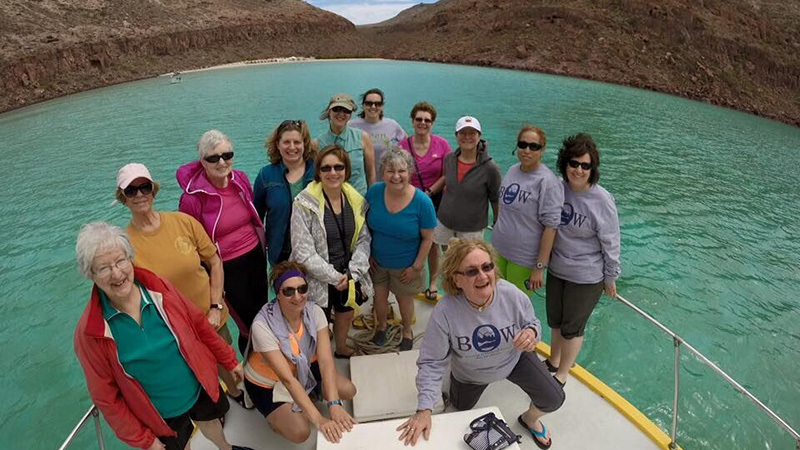 Like BOW, Green Edventures’ adventure trips for women encourages a supportive environment conducive to learning, making friends, and having fun. No experience is necessary and BOW is for women of all ages and fitness levels. Check their website for a weekend workshop in your state! Why Join Our Adventure Trips For Women? Access to places and animals most people only dream about. No planning is necessary! Show up, relax, and have fun! To challenge yourself in a supportive atmosphere of like-minded sisters. You will love our flexibility and attention to detail. Caring guides that go above and beyond to make sure your trip is special. Small groups ensure a high-quality experience for each participant. Focus is on fun! No experience is necessary! By far the MOST amazing travel experience I’ve ever been on. Baja, Mexico was phenomenal. This well planned “Edventure” takes all of the worry out of traveling abroad while catering to every skill set! The day I landed back in the US I started a savings for my next trip…you won’t regret it! Food, lodging, amazing guides and adventure will not let you down no matter your destination!